Religious leaders from the Christian Association of Nigeria (CAN) and Nigerian Supreme Council for Islamic Affairs (NSCIA) have appealed to Boko Haram fighters not to carry out the threat to kill Leah Sharibu, the Dapchi Schoolgirl in the captivity of the terror group. The clerics called for her immediate release and other teenage girls abducted by the group in the restive north-east. The plea was made Friday by the Chairman of the Christian Association of Nigeria (CAN), Northern Nigeria, Reverend Yakubu Pam, and the Chief Imam of Apo Legislative Quarters, Sheikh Mohammed Khalid, at the Interfaith Initiative for Peace Conference in Abuja on Friday. Sharibu is one of the 110 schoolgirls that were abducted by Boko Haram from Government Girls’ Science and Technical College (GGSTC), Dapchi, Yobe State on February 19, 2018. Her ordeal has remained a hot button issue as she is still held by her captors, although 104 girls, who were abducted along her, were released on March 21. Pam told reporters that besides concerns about peace and security ahead of the 2019 general elections, religious leaders, who gathered for the three- day interfaith peace conference, were also disturbed by the continued abduction of Sharibu and other innocent girls. “We have heard the abductors and we appeal to their conscience for the sake of the innocent girls. We want to appeal that for the sake of God, they should release these innocent girls and I believe that by doing this Nigerians will be appreciative,” Rev Pam said. 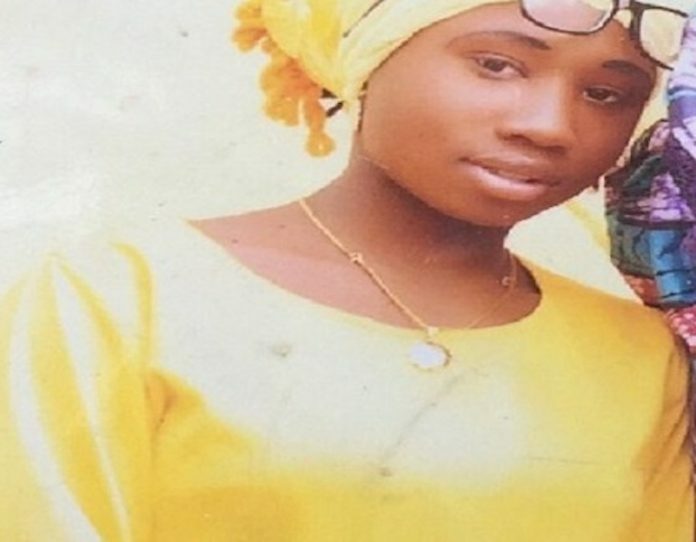 Pam begged Leah Sharibu’s abductors to shelve their threat to execute her, saying that would save her family from the agony of losing a child in such a violent circumstance. “We heard they said next week is their deadline and that is why in this meeting as we are discussing about the peace of this country, we felt that it is very important to talk about this matter. The mother and the family are in agony, and we are appealing to their conscience. Whatever it is, let them be lenient and also allow God to speak to their heart,” he stated. Though he was not specific about federal government paying ransom to secure her freedom, the cleric called on the government “to do whatever it can within its powers to ensure Miss Sharibu is safely released and reunited with her family”. Sheikh Khalid, the Chief Imam of Apo Legislative Quarters, said the Miss Sharibu’s abductors were on their own and they did not represent Islam. “We are appealing to them to rethink and revisit their minds so that they will release their captives, especially somebody like Leah Sharibu,” Sheikh Khalid said. The Interfaith peace conference is convened by the Sultan of Sokoto and leader of NSCIA, Alhaji Sa’ad Abubakar and the Catholic Archbishop of Abuja, John Cardinal Onaiyekan. at the Sheraton Hotel, Abuja to be attended by President Muhammadu Buhari. But speaking on the role of religious leaders in a free and fair election, the Archbishop of Sokoto, Rev Hassan Matthew Kukah, appealed to religious leaders to restrain themselves from politics because their voices are very influential. Kukah voiced concern about next year’s elections, saying the conduct of party primaries had created fears among electorate, who believe the outcome of the elections had been predetermined.